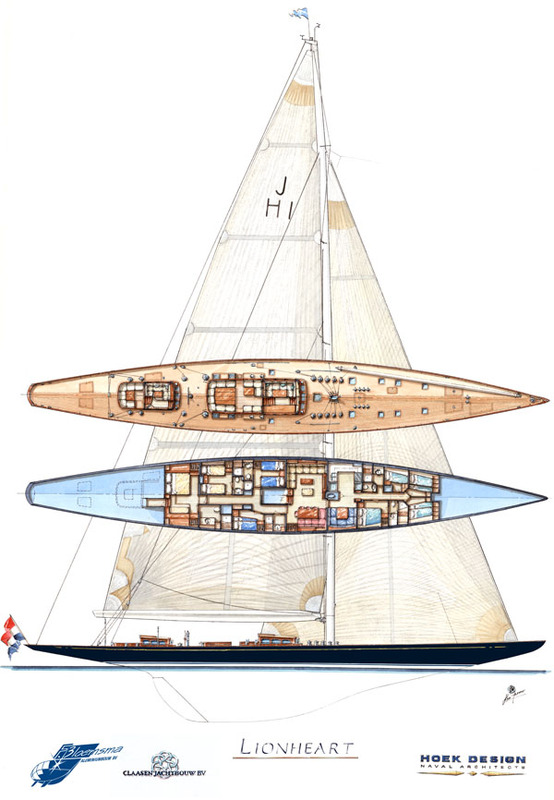 Lionheart's original hull design was one of the lines plans made for the Ranger syndicate in 1936. Although never built, our research showed that this design was very promising. The yacht has been extensively optimized by our office with the abovementioned VPP software for racing under handicap and line honours. She was outfitted by Claasen Jachtbouw and features a retro-styled interior in teak. Lionheart was the 19th yacht to be launched by Claasen Shipyards to our designs.